The Witcher 3 developer CD Projekt RED is taking steps to protect itself in the future, even if there's no threat now. Earlier this week, news popped up on NeoGAF that CD Projekt RED, developer of The Witcher series, was taking steps to protect itself from a hostile takeover. The news came from a translation of the agenda for an upcoming company shareholders' meeting, which includes a proposal to place a cap on the voting rights of certain shareholders. This is a maneuver typically used to protect shareholders against a buyout, in which shareholders who own above a certain percentage (usually 20%, as in this case) of the company are unable to vote on certain issues, such as accepting or rejecting a takeover. Also mentioned as being included in the agenda is a proposal to authorize the company buying back some of its own shares for a whopping $64 million, a move that can also be used to help prevent a hostile takeover. "As for the rumor, it emerged after the Board suggested introducing a voting cap during the upcoming shareholder meeting. 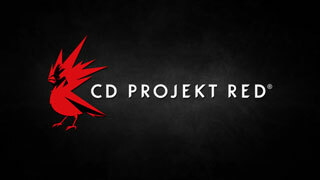 However, the proposal is not a reaction to any current events affecting CD PROJEKT. Rather, it is meant as insurance against future hypothetical scenarios which may never materialize. We wish to safeguard the interests of minority shareholders in a hypothetical case where a major shareholder emerges professing a business and strategic vision which conflicts with ours." It's not surprising that CD Projekt RED is protecting itself. After all, the company has had success both as a developer and a publisher, as well as in the world of retail with its DRM-free GOG.com store.